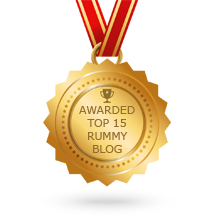 There are so many reasons to get excited whenever you play Rummy online here at Deccan Rummy. Get the best classic rummy experience here at Deccan Rummy with our colorful and vibrant tables. All the games we host are 100% legal as quoted by the Honorable Supreme Court of India. All the transactions done here at Deccan Rummy are 100% safe as we have some of the most secured methods for deposits and withdrawals. As soon as start registering in our website and start playing rummy game you will be showered with exciting bonus offers and exquisite promotions. It’s a routine that every month here at Deccan Rummy begins with an awesome bonus. It just gives us the much needed impetus to go full-fledged rummy adventure. It is for this reason we never stop issuing Monthly bonus offer every month. There’s no better sight than watching players get more on their deposits. In this month of July, we are starting off with a couple of exciting promotions that all our players can take advantage of. Playing here at Deccan Rummy would always give you bounties. With Deccan Bounty Bonus offer it’s proved once again. In what comes as a cherry on top of the cake we have a weekly bonus offer that the users can avail. 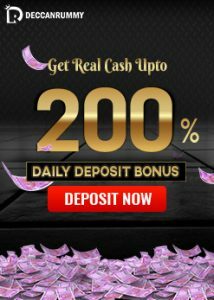 This bonus amount will be instantly credited at the end of a successful deposit and players can use them to play real cash rummy game online. Additionally worth noting that there are quite a few rummy bonus offers that are available on a permanent basis. Both these offers are awesome as they give you an excellent opportunity to boost your bankroll. Grab this fantastic chance immediately. We are looking forward to see you soon in our vibrant tables. 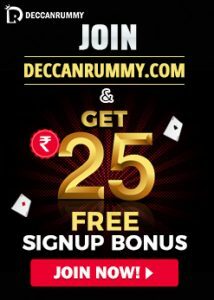 Should you have any further clarifications about the offer or any of the games, do not hesitate to contact us through support@deccanrummy.com or use our 24/7 chat facility. Keep following us in Facebook and twitter to know about the latest offers and promotions.